The UAE is a growing hub for education. When thinking of higher education, names like Knowledge Village, Academic City, the Higher Colleges of Technology, New York University-Abu Dhabi, Sorbonne-Abu Dhabi, American University of Sharjah, American University of Abu Dhabi, SP Jain School of Global Management, BITS-Dubai spring to mind immediately. And the list is growing. This is in addition to the excellent primary and secondary school facilities in the UAE. These institutions are bringing bright young minds into the workforce, many of whom have decided to go into entrepreneurship instead of a corporate career. A key deciding factor is the ease of setting up shop in the UAE. Facilities like DTEC, in5, The Cribb are among a host of hubs that provide entrepreneurs with structure, licensing, mentorship and the basics required to incubate business ideas. Student life is complex and tough. It’s not just about academics. Co-curricular and social activities, essential for developing fully-rounded personalities, compete for mind-space and time. Challenges include avoiding course scheduling clashes, distributing workload, finding time for exercise and sports, getting to know about cultural events, finding the time to unwind. Scheduling, making intelligent trade-offs, prioritising and focusing are skills that are usually best learnt at this stage. An alumnus of the American University of Sharjah, Monty (Montasir) Adams fully appreciates this huge demand on time. When in university, he observed that there are better-planned students who achieve a lot with the help of schedules and jottings in little notebooks and diaries. As opposed to the vast majority who end up missing out because of poor time-management skills. He recognised a B2B business opportunity that would enable institutions to help students proactively schedule and prioritise their time. The idea is brilliant in its simplicity. A mashup between syllabi, mobile phone calendar and artificial intelligence scheduling. 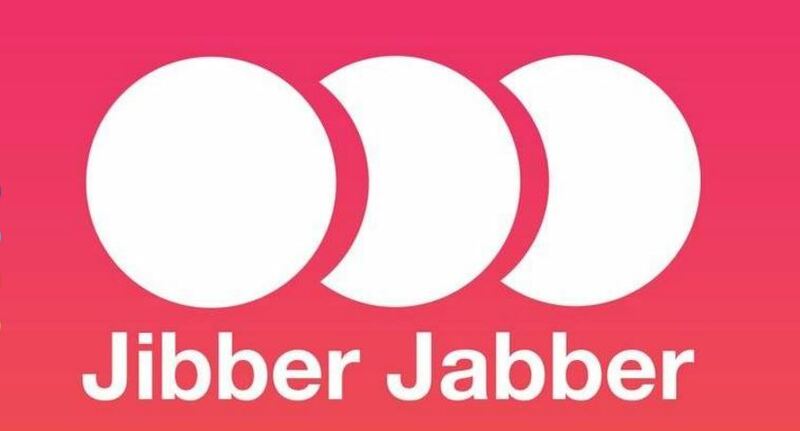 Jibber Jabber, the company that Adams leads, is based on translating syllabi, class schedules, campus content, examination rosters and event calendars into a highly usable and interactive visual calendar on a mobile and web app frame. The app is similar to the popular Sunrise Calendar, recently acquired and dissolved by Microsoft. Metacognitive intelligence helps translate the course schedules provided by universities into a calendar of events. It also recognises clashes in scheduling, highlights examinations and tests versus classes and submissions deadlines. It proactively slots in co-curricular, social and leisure time activity. Mere ideas themselves are not good enough. Adams’ passion is finance. He needed to know that the numbers would work. Doing his homework he found that by 2025, there will be 262 million university students worldwide. This is according to Bob Goddard, an industry consultant and contributor to the book ‘Making A Difference: Australian International Education’. The next step was to find a partner to help develop the minimum value product. He connected with one of the top globally recognised development houses – Mobile Jazz based in Barcelona, Spain. Rather than just invest, he agreed on a swap option that gave Mobile Jazz the choice to take an equity interest in Jibber Jabber. This is a flexible financial instrument, which will work out well for both. Importantly, Mobile Jazz has experience with a very successful similar sibling app focused on young children called Class Dojo. Mobile Jazz has also put together the immensely popular Skyscanner app. In choosing the core team to take this forward, UAE’s multiculturalism comes to light. Adams is of Sudanese origin. Jibber Jabber’s lead tech head is Nabeel Kassim, of Indian origin and the anchorwoman is Hamdah Al Shirawi, an Emirati. The wider Jibber Jabber team is also reflective of the potent mix of talent that the UAE is creating. The tool of choice for the Jibber Jabber team for structuring the proposition is the Business Model Canvas (strategyzer.com). Their approach is based on the “users and content first, revenue later” model. To refine the model further, the team works on a price per user tranche strategy and identified the universities themselves as the target customers. Initially the team will target local institutions and then expand via connections to the region. The company has also identified ad revenue as an additional top-line item for event organisers and booking services. To create barriers to entry, striking early alliances with the target customers is key. Jibber Jabber reached out to DTEC in the Dubai Silicon Oasis. DTEC provided the mentorship, licensing, workspace and seed-funding for the team. This collaboration brought about enhanced access to Microsoft’s BizSpark Plus services for startups. This facilitates a solid access to cloud services as well as cognitive intelligence APIs. At the heart of the application is the Social Calendar. The team has been shortlisted in multiple startup competitions based on the business idea, strong financials, excellent mentorship, a solid MVP, as well as support from DTEC and Microsoft. The team has won awards at Startup Events such as the ‘The Entrepreneurs Day’ at DSO.